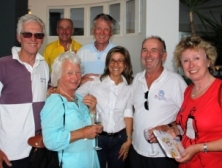 Every year around 1,800 people from over 20 different nations sail in World Cruising Club rallies. They will be aged from babies of a few months to over 80 years. Some will be making an ocean passage for the first time, others will be repeating a favourite adventure. Some will be enjoying their retirement, others taking a sabbatical from work, or starting a new life of adventure. 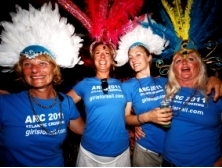 Each World Cruising Club rally is unique - some are small and intimate, while others involve hundreds of people and lots of fun parties. 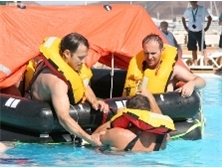 Whichever rally you join, there will be lots of fun activities organised ashore to help you relax, meet your fellow cruisers and to enjoy the preparations for sea. "The fee includes a lot of dockage, social activities and parties, and you will make a lot of very good friends who will be your cruising buddies from now on" Jennifer McNamara, yacht Lady (USA) 2011 Caribbean 1500. 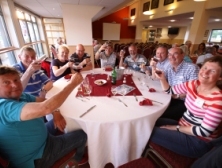 For details of the social schedule for each rally, see the Route & Itinerary pages. 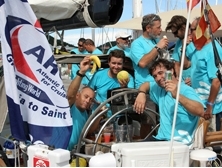 The social atmosphere of the rally continues at sea, with the daily Radio Nets. These are the glue that keep the rally together, and a way for crews to share thoughts on the weather, swap fishing tips and request advice. 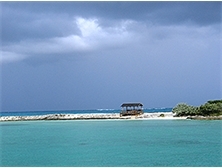 SSB radio is an advantage for ocean cruising, as the range is far greater than VHF. Knowing you are sailing the same route as a number of other boats, crewed by people you know and like, can be a great comfort. It is easy to ask for help and advice, and support is readily given. Every year ralliers help each other with spares, advice and support. 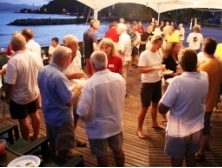 Social ties formed at rally parties help build self-sufficiency at sea.